When you plan your next private charter jet flight to Charlotte, North Carolina be sure to give Charter Flight Group a call. With over 30 years experience in private charter flight service to destinations worldwide, including Charlotte, Charter Flight Group has become a leader in the air charter industry. We believe the secret to success is providing top-flight customer service, safe and reliable charter jets, and superb luxury aircraft. On this note, the private air client will be happy to know that regardless of need, CFG has just the right private aircraft for you. Consider some of the private charter planes in our fleet. We have several turboprop aircraft, ideal for those short private flights from within a 1200 mile radius of Charlotte including the ER120 Brasillia, which can easily seat 16 private charter guests; the P180 Avanti II, with seating for 7; and the TBM Socota, with seating for 5. As for jets, well, the sky is literally the limit. CFG has one of the most impressive selection of fleets of light jets, mid-size jets, large jets, even jumbo jet airliners from such makers as Cessna, Lear, Beechcraft, Boeing, Airbus, and more. In short, Charter Flight Group has an abundance of any private charter aircraft for any flight requirements. Another key to the success of Charter Flight Group is a firm commitment to flight safety. We understand that it costs less to maintain safe aircraft than the alternate and to ensure that the private jet fleet is maintained in pristine condition we use and retain only the finest certified charter maintenance crews. 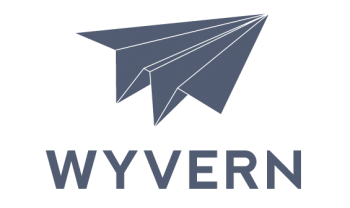 In addition, we retain the services of flight experts Wyvern and ARGUS to assist us in both compliance with FAA regulations and, more importantly, keeping our private charter jets in mint condition, ready for flight at a moments notice. We have to, for we also offer on-demand private flights. On booking your private jet charter with any of our expert consultants, you will be offered a choice of airports in which to land. Charlotte has two primary airports in which to land your jet safely and comfortably. Charlotte Douglas International is located to the southwest of the city with easy access to I-485 and I-85 into Charlotte. This provides excellent access to not only Charlotte, but also nearby Gastonia. Charlotte-Monroe Executive Airport is making great strides in becoming the airport of choice for busy executive travelers. Located to the south of Charlotte, just take Airport Road a tenth of a mile to Old Charlotte Highway and turn left; travel about 6 miles to I-485 Loop and the quickest way into the city is to travel westbound to I-77 north, which brings you into the heart of the city. Some of the amenities that make this airport worth the travel into Charlotte include catering and conference rooms. Needless to say, many busy executives choose this airport for quick business lunches. Upon arrival in Charlotte, those traveling for personal reasons will find much to do. Some of the more popular destinations include the Blumenthal Performing Arts Center, Hendrick Motorsports Complex, Dana Radner Golf School (a good stop for duffers), McDowell nature Center and Preserve, Old Mecklenburg Brewery, the Golf Club at Ballantyne, and Carowinds amusement park, to name a few. Those taking a private charter jet flight to Charlotte for business will be keen to know that Charlotte has become the 2nd most influential banking/finance center in the nation only behind NYC.This is largely a result of such luminaries like Bank of America and Wachovia (acquired by Wells Fargo). 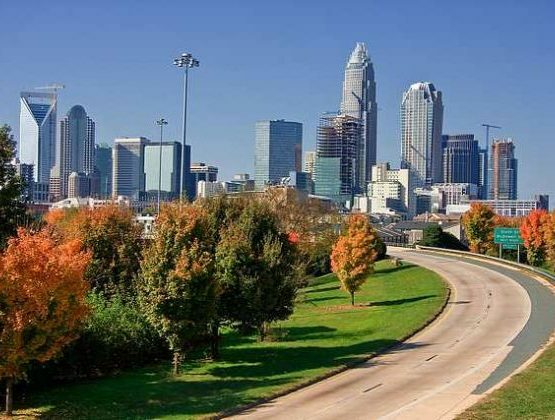 However, Charlotte has much more to offer in the way of business interests for other factors contributing to her vibrant economy are motorsports, with about 75% of all NASCAR Drivers living within the general vicinity and numerous energy-related firms such as Duke Energy, Siemens, Toshiba, and the Shaw Group. In addition, trucking and transportation logistics contributes significantly to Charlotte’s growing economy. Why Choose Charter Flight Group for Your Jet to Charlotte, North Carolina? We have already mentioned our dedication to safety and our requirements for ground crews. What we have not mentioned is that to be considered for a position in the cabins of our private charter jets, all pilots and flight attendants must pass rigorous checks to ensure that they can meet our high expectations of service and comfort for our guests. Any who fail to meet these requirements must seek employment with our competitors. In addition, we also offer one-way flights, round trip jet charters, and even empty legs when possible. We do all of this at CFG because we believe that you deserve the best private jet flight possible.